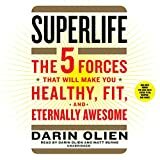 9780062297198 | Reprint edition (Harperwave, January 3, 2017), cover price $15.99 | also contains Superlife: The 5 Forces That Will Make You Healthy, Fit, and Eternally Awesome | About this edition: In this groundbreaking health and lifestyle guide, the superfoods expert, nutritionist, and creator of Shakeology provides the key to understanding and utilizing the five life forces—the sole factors that determine whether or not we will be healthy, fit, and free of illness. 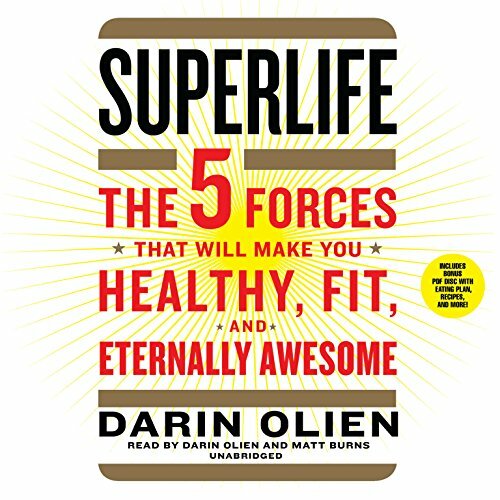 9781504643450 | Com/cdr un edition (Blackstone Audio Inc, July 21, 2015), cover price $34.99 | About this edition: In SuperLife, Darin Olien provides us with an entirely new way of thinking about health and well-being by identifying what he calls the life forces: quality nutrition, hydration, detoxification, oxygenation, and alkalization. 9780062297181 | 1 edition (Harperwave, February 10, 2015), cover price $26.99 | About this edition: In this groundbreaking health and lifestyle guide, the superfoods expert, nutritionist, and creator of Shakeology provides the key to understanding and utilizing the five life forces—the sole factors that determine whether or not we will be healthy, fit, and free of illness. 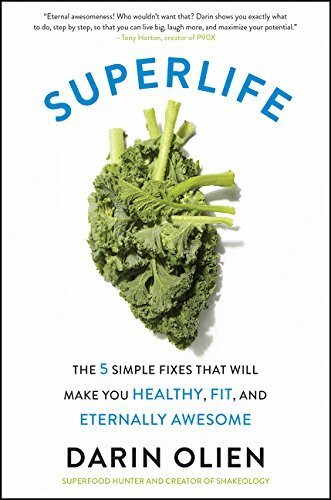 9781504643443 | Unabridged edition (Blackstone Audio Inc, July 21, 2015), cover price $59.99 | About this edition: In this groundbreaking health and lifestyle guide, the superfoods expert, nutritionist, and creator of Shakeology provides the key to understanding and utilizing the five life forces--the sole factors that determine whether or not we will be healthy, fit, and free of illness.